We are at the guesthouse, it is still raining and it is cold. The view from the rooms and the balcony is beautiful. I love the sight and the sound of the Tirthan river. Three of us are here. 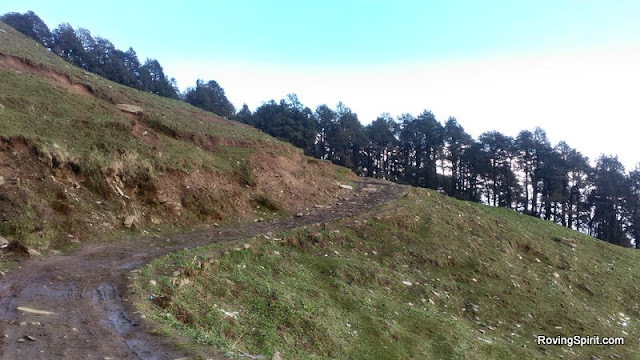 Puneet has come for a trek to Rolla in the Great Himalayan National Park. We had adrak Chai and Paranthas with mouth watering Mango Chutney as we talked for around an hour before Panki arrived with his welcoming aura. The trek was cancelled and Puneet would head back to Kullu and come again in a couple of days. He was kind and observant enough to notice that we needed something to keep us warm. He lended his thick woollen jacket for outside protection and a lot of walnuts to keep up warm from the inside. We were soon fast asleep to wake up to a warmer weather. 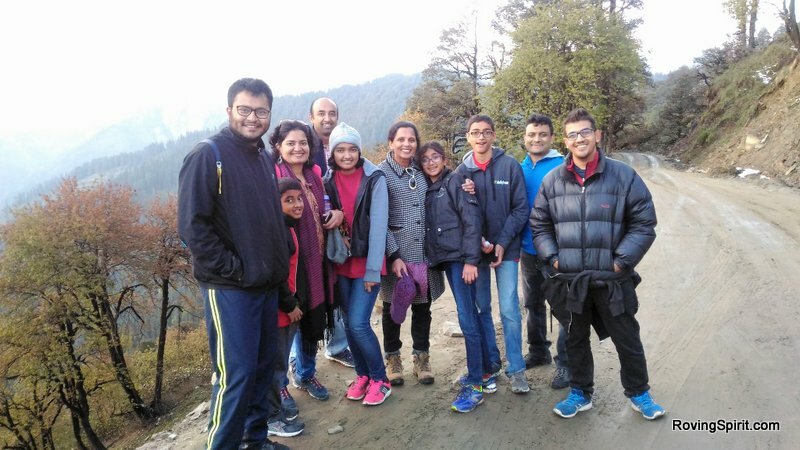 I was lucky to wake up not very late after Panki bhaiya's missed call, else we would have missed the chance to join two families from Bangalore for a drive followed by a small trek to Jalori Pass, which is at a height of around 3120 metres. It a narrow road full of caution boards from the road department. The safety boards on the way advise you to drive only in the first gear. The onward journey was a quiet one, everyone either busy enjoying the views or struggling to maintain seat on the curvy roads. They were two couples and four kids. They were working different companies like Cisco and DailyHunt. One of them had left her job at KPMG and worked as a Charted Accountant. It was the time of the year when kids had their vacations. At the top is the Jalori Mata temple which is visited by devotees from nearby villages. 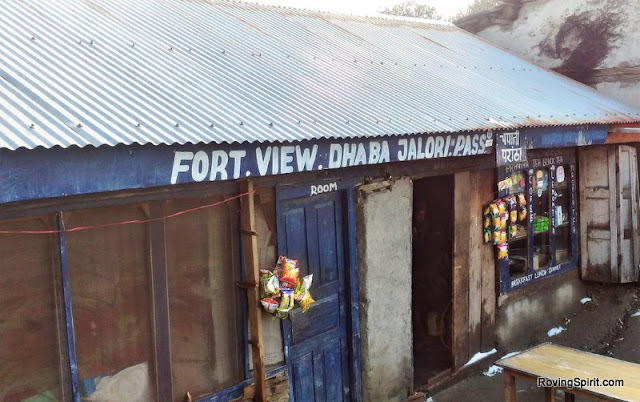 We had some Rajma-Rice at one of the local dhabas at the top, which are warm inside, thanks to the mud architecture. We went for a walk to a nearby campsite and it was beautiful. 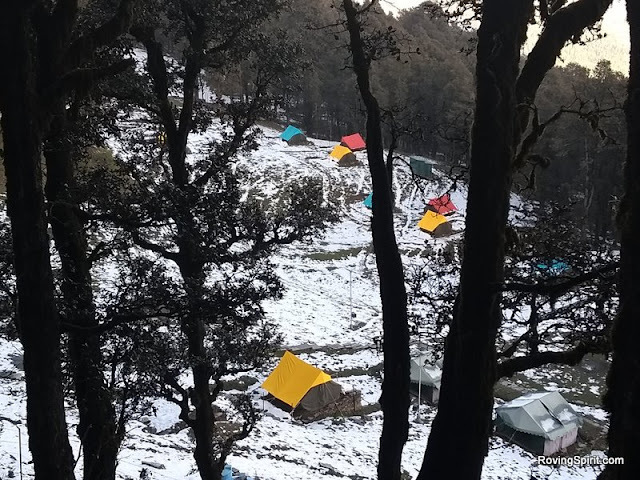 The snow added it’s charm to the beautiful colors of the tents. There is another temple 2 km away from where the views are heavenly. Around 6:30 pm, we left Jalori Pass to head back to Tirthan. The return journey was much livelier. They told us about the different places they had travelled. Suddenly, the tempo traveller was filled with stories of trips, treks and offbeat places. We talked about technology, about politics, about nature and had a lot of laughs. We were back by around 9pm at the guesthouse, which I would like to call home now onwards. It was a bit late when I realised that we didn’t exchange numbers. It gets pitch dark during the night, and the only soul which stays awake, moves and roars is the Tirthan River, which is the life of the valley. I will soon be writing about day 1. We reached Aut around 4:25am in the morning and it was raining. We found a small shade under the shed of one of the local shops, none of which had opened yet. After just a few minutes of struggling to keep myself as well as my bag dry, I could see a person running across the road from a distance, and he stopped just opposite to us on the other side of the road. He started to pull the shed of a shop with the help of a lever. And it was time for business. The tourist buses would slowly start coming and he had to start the preparations. It was warm inside the shop and we put our bags on side of the bench meant for sitting. The owner was pretty adamant of moving the bags and putting aside as he didn’t want to waste sitting space. After around half an hour when more people started coming, it made sense. None of the other shops had opened yet and there were many of them. There were 3 other people in the small homely restaurant apart from us, one of whom had gotten down from the same bus as us and the other two were boy and his grandfather, who were heading to Manali. All of us had chai and fan. . It was delicious, the fan dipped in the sweet tea. We had left from Chandigarh for Aut the night before at 8:30pm. 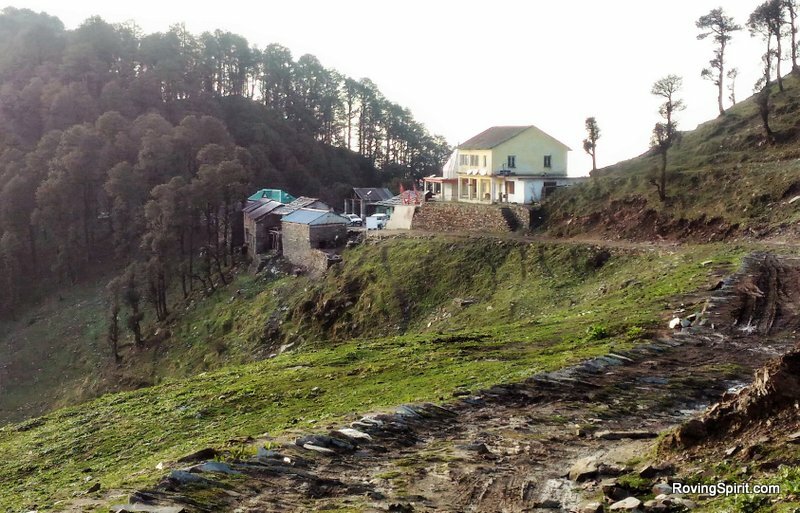 Aut is small town in Himachal Pradesh with lots a small dhabas and guesthouses. Buses to interior villages and valleys, deviating from the main Kullu and Manali route leave from Aut. The bus journey was a bit tiring and uncomfortable. Soon, other shops started opening. By 6am, few tourists, travellers and locals were around. 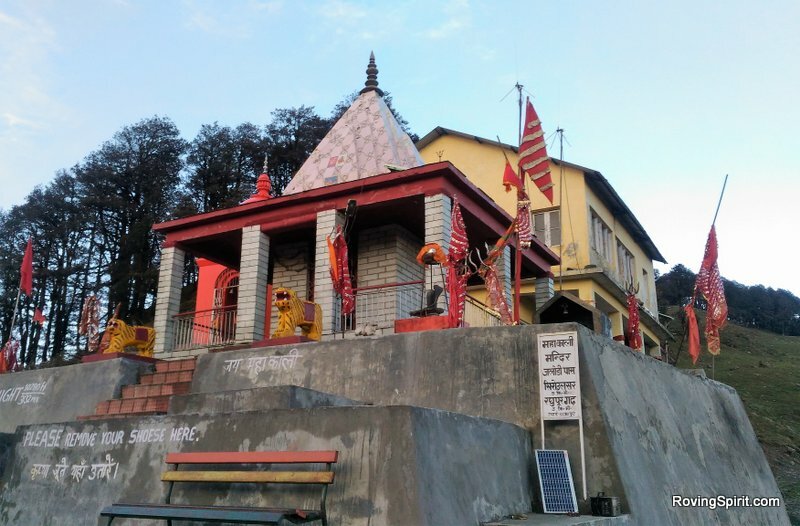 The first bus to Tirthan Valley was at 6:30am. We were having fresh paranthas at a dhaba when the bus arrived. 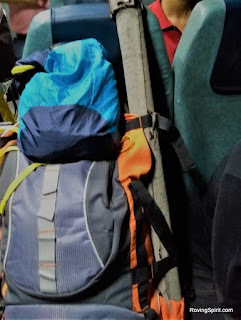 By the time we reached the bus, it was overloaded and the last night’s journey hadn’t left any room for more tiring. While we waited for the next bus at 7.15am, we met Puneet from Kullu who had an interesting story to share, his life story. After running an NGO, working with management students and living the past decade in Kullu, he has built a small hut which he names as Mysterious Kutla in the far reaches of Tosh Valley, where he plans to live and spend time exploring his numerous passions. He lives life his way and does what he loves. We didn’t get to know all this in the bus itself. This was when we reached our homestay, the Bisht Guesthouse in Tirthan Valley and Puneet got down with us. He had gotten down there mistakenly following us thinking he would meet Panki there. I am glad he got down. We got to know much more about him, treks, life, yoga, MBAs and PhDs. Yes, he was a jack of all trades and seemed no less than a master. Since the last eight years of his life, he had been roaming in the hills, doing things he loved, helping people do the things they loved. 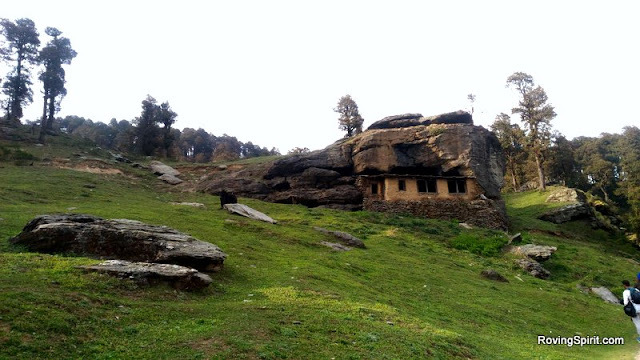 Panki is the wonderful person who manages trips in the Tirthan valley. Those who know him better say that he just adds happiness to the lives of people who visit this beautiful place. He works to develop eco-tourism in the valley and empower the local community through it. Harsh and I had planned this trip around a month back when we were thinking about the things we could do during the one month long break after the first year of the Teach For India Fellowship. Our common interest in education, love for nature and travel brought us here. I had already been to Tirthan valley thrice, and each time the love for the valley, the Tirthan river and the people had grown. The first time I visited here was with my art teacher Gurpreet Sir, a person with talents and passions ranging from art, dance, poetry, literature to trekking, writing and managing events. A lot of kids in school who would be too bored to attend the classes would always find some excuse to spend time with him in the art room, for such a lively place it was. 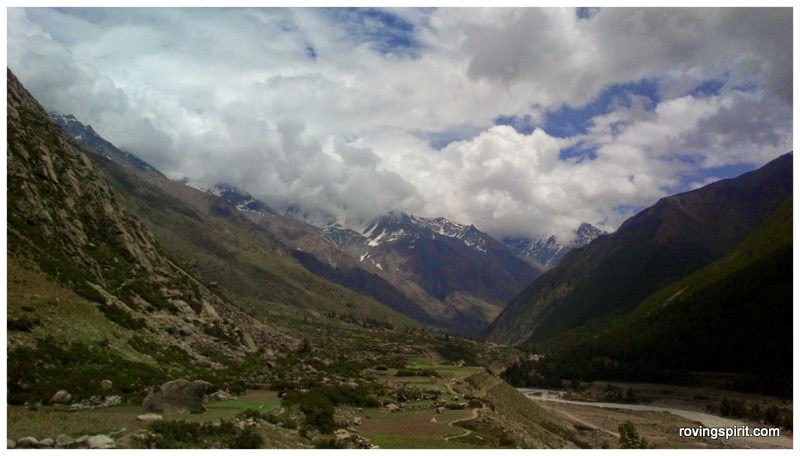 The other two times was in my second and fourth year in college when I organized college treks to Tirthan Valley. The trips were memorable and I can’t thank the people enough who were a part of them. I will soon be writing the further story. 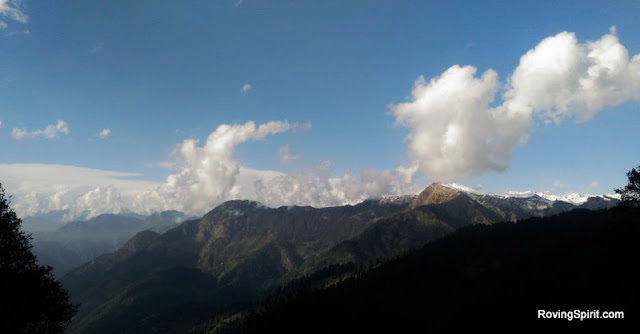 For the time being, read here about my other experiences in Tirthan valley. 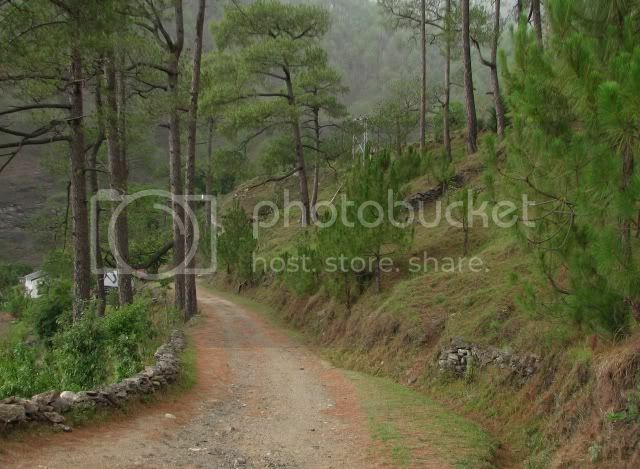 Kausani is a quiet hill station in Uttarakhand , in the Kumaon hills. It is perfect offbeat location for anyone looking to spend a quiet and peaceful time in the mountains. 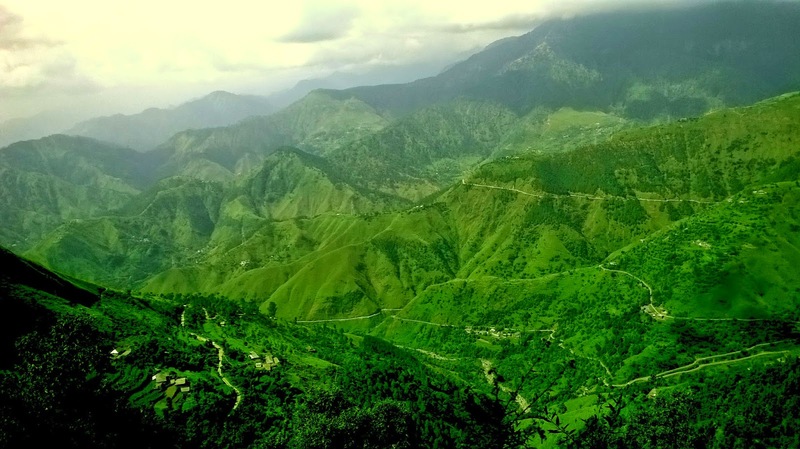 It is away from the crowds of the mainstream hill stations like Nainital. A lovely sunrise, sunset and the view of the Himalayan peaks awaits you. You can read about the recommended route, places to stay and the visit here. "Seek and see the marvels all around you. You will get tired of looking at yourself alone, and that fatigue will make you deaf and blind to everything else"
"There is nothing wrong with being afraid. When you fear, you see things in a different way." "Think about the wonder of Mescalito playing with you. Think about nothing else. The rest will come to you of itself." "All paths are the same: they lead nowhere. However, a path without a heart is never enjoyable. On the other hand, a path with a heart is easy—it does not make a warrior work at liking it; it makes for a joyful journey; as long as a man follows it, he is one with it." "Any path is only a path, and there is no affront, to oneself or to others, in dropping it if that is what your heart tells you . . . Look at every path closely and deliberately. Try it as many times as you think necessary. Then ask yourself, and yourself alone, one question . . . Does this path have a heart? If it does, the path is good; if it doesn’t it is of no use." The sun never sets. It just knows that there's another half of the planet hopefully waiting in darkness. It needs to go. The colors of the sunset were the most vivid I had ever witnessed in my life. Little clouds hung in the clearest of the blue skies. Thousands of colors had been calmly smudged onto the sky. 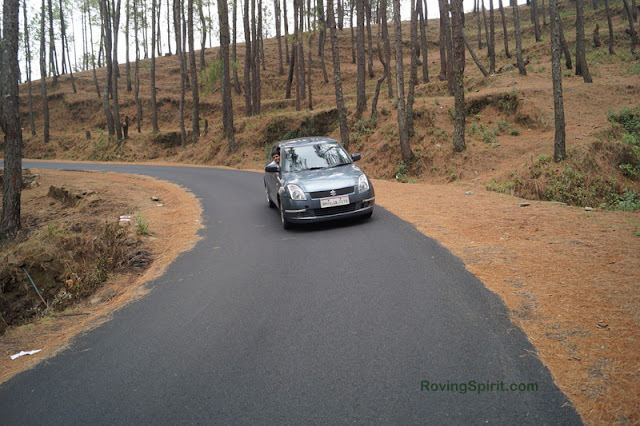 We were on the drive back from Deoban to Chakrata. And it was showtime. Yes, there is ! Definitely, there is ! They just don't say it like that. Yes, a feel of life. A feel of romanticism. A feel of history. It's in the air. Udaipur does at least some justice its tag of 'India's most romantic city'. 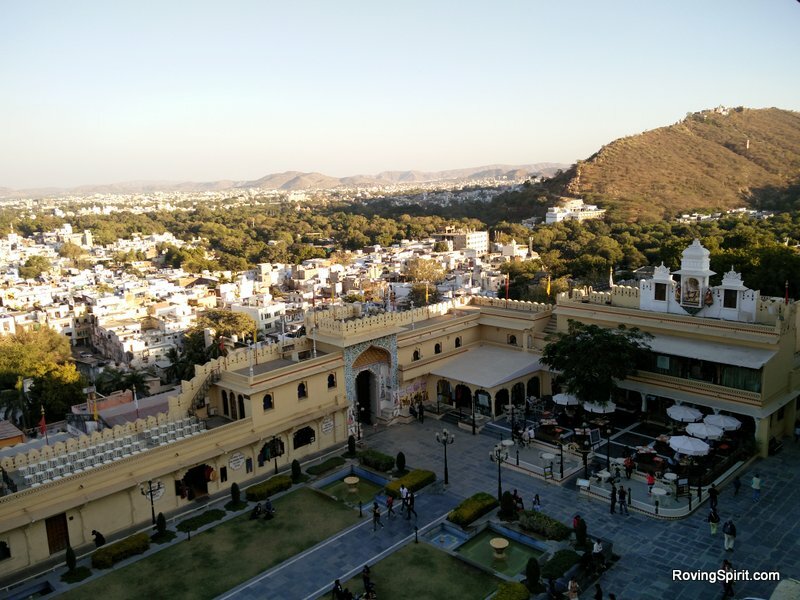 And in Udaipur, you realise that romantic is really a huge domain. There is romanticism in stories, in love, war, palaces, the Ghats, the Lakes and the background mountains, the painters, handicrafts, everything. 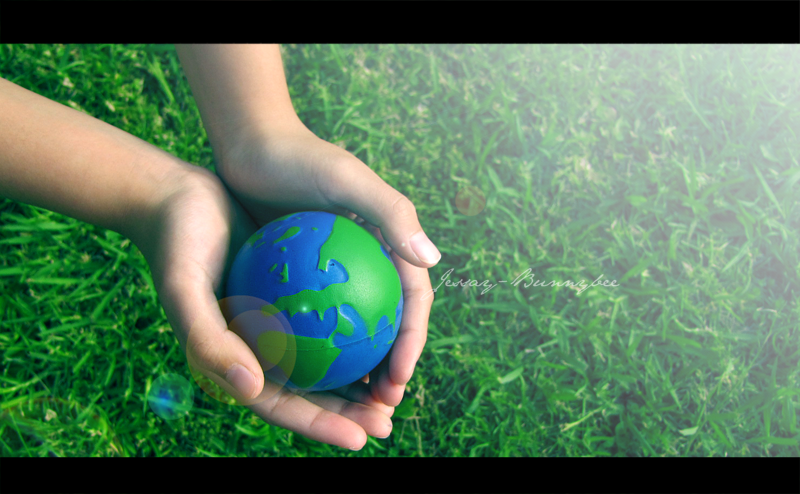 I was discussing with a friend the idea of making a world a better place and how could an individual contribute to it, considering that he has so much more to do and worry about before he can put a thought to making the world better and happier. He put me a question if travelling or tourism could make the world better, help preserve the nature and sustain the local people across the globe. A friend of mine and me were planning since some time to drive to and explore some part of the Himalayas since a long time. I was at my internship in Gajraula and Gaurav called me to ask if I was in for a drive. It was Thursday, around 10 pm and I had no second thoughts. A drive through the Kumaon hills covering Almora, Kausani and Binsar was the tentative plan. 92 years is a long time. I pause for a moment and think again. 92 years !! I pause again and try to calculate. Not an easy one. 1923...it comes out be . Before we were an independent country, before my great grandfather was even a father....that is indeed a long time. It is a long time....but maybe not by the standards of the holy city of Banaras....the world's oldest inhabited city. A wonderful host, excellent large rooms, a lawn, the sweet chirping of the birds and all of this, at a very affordable price. Where in the world do you get a combination of all these. Although, it's named Hope Hall Hotel , it is a more of a farmhouse. Run by a family of Brother, Sister and Mother , Maria is really a very kind and warm hearted host. Matheran is a small hill station near Mumbai, indeed the smallest hill station of India. The stay in Hope Hall Hotel adds to the charm of it. As me and a friend entered the main gate, we were welcomed by the barking of the countless dogs, who later became great friends, and would be the ones to guard us when we would return late at night. Maria welcomed us a smile, showed us the rooms and without a second thought, we knew we going to stay here. Maria charged us around Rs 800/- for a room, large enough to accommodate 6-7 persons, but unfortunately :P , we were just two. She then offered us tea, and told how the lovely property had been transfered by the Portuguese to her great grandfather in the past, and since then, it has been the love as well as the 'bread and butter' of the family. She told about her countless dogs, which to our surprise, were all vegetarian. Interesting place !! Rest of the story follows with the photos. It is not just a place. It is a realization. There are not just people, there are feelings, there is pain, there is happiness, there is kindness but above all, there is love. There is love in each one of us. Swadesh, it is not just a journey out into the society, it is a journey within. It was Friday, around 10.30 am and i was in the middle of a boring lecture. Harsh was sitting on my right . I casually asked him if he was interested in doing something better with his time than learning about process control and stuff . And he was more than interested. Rajat was on my left. He heard us and was immediately curious. I already had in my mind the beautiful Prashar Lake since a few days. I told them the place but it didn't matter. All that we wanted was to go. And this is how the plan was made. 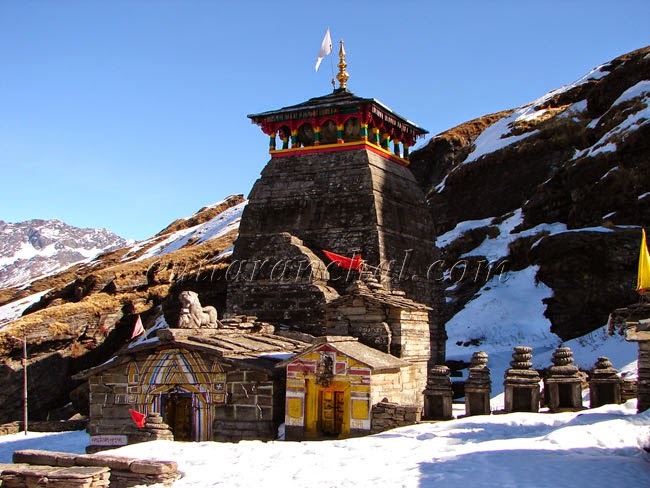 Prashar is a small town around 50kms from Mandi in Himachal Pradesh. 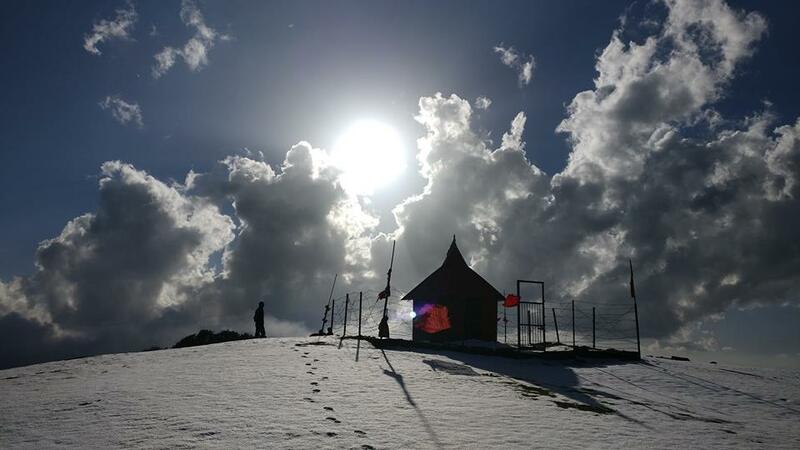 Legend has it that the sage Prashar meditated here for all his life, surrounded by snow-clad peaks on all sides. Also, the Pandavas are believed to have spent a large part of their exile in Prashar. The temple is said to be built by a child from the wood of a single tree. The depth of the blue waters of the small lake is unknown till date. When you fall in love with the mountains !! Some time ago, i wrote a post 12 amazing things which happen when you are bit by the travel bug, the most read post on this blog so far. But as I was coming back from Prashar Lake to Mandi , the lovely 50 km journey, I realized its not travel bug I got, but the mountain bug. Something happens when your heart falls for the mountains. Ya, i know you want to say, it doesn't fit well with the mountains. It's not the bug, it's love for the mountains. You know that not everyone can understand what you feel. But it doesn't matter. I literally mean for ever. I bet you must have had the feeling to leave behind the so-called real world and settle in a quite himalayan village for the rest of your life. And actually, it's not that tough to do it. It's just that the society has taught us from our childhood to Be practical. There is one thing about the mountains. The further you go, the safer it gets. Yes, people are afraid of landslides and the rains and blah blah. But it is only rarely that these things are causing any major damage. Just google out the statistics- You will find out much more people are losing lives/ injured on the roads of big metros as compared to the mountains. The people are extremely friendly and helpful. 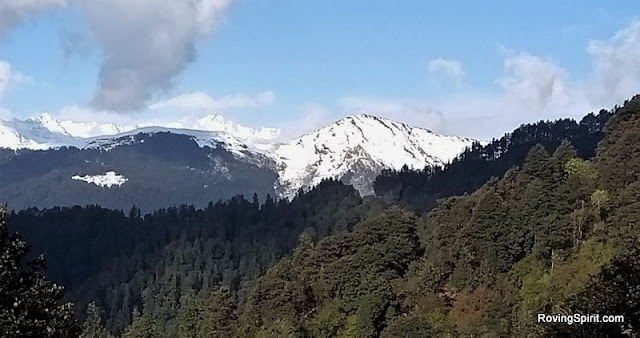 Yes, the homely feeling on seeing the snow clad peaks, the locals selling tea and simple snacks on small stalls, the young boy rearing his sheep, the locals carrying loads of grass on their backs for their children-like cows and goats. Seeing all this, you feel you are back to your real home. Don't you miss being there in the lovely hills, admist the beautiful ranges and the soaring peaks, the roaring river just as soon as you are back from the mountains. In fact, you the nostalgic feeling begins in the return journey itself. Tirthan Valley is the gem of the Great Himalayan National Park.Tirthan Valley is one of the four valleys in the region, the other three being Sainj , Parvati and Jiwanal Valley.Out of these, Jiwanal valley is yet to be explored much (Possibly next on my list :) ) . 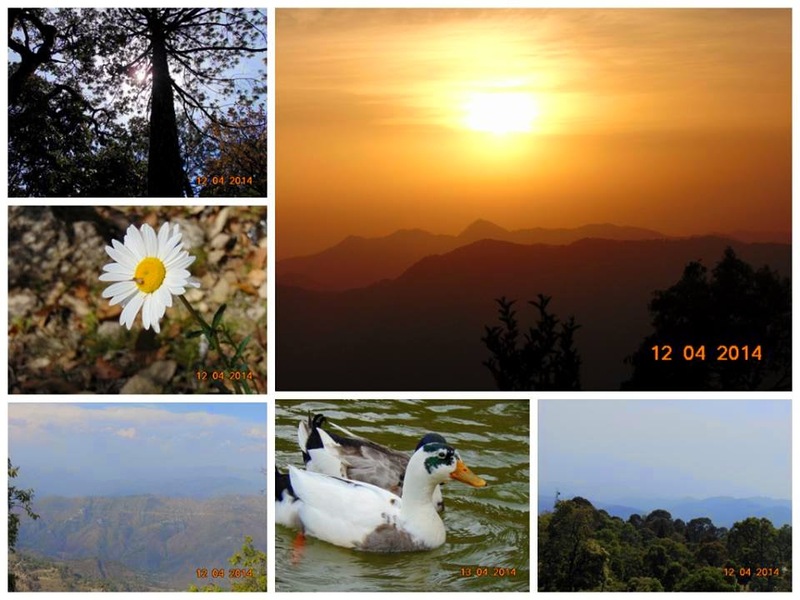 Here is a collection of photos of our trip to the Tirthan Valley. You can read the full story of the trip here. Very rarely in our lives, when we become very still from the inside do we see the beauty and charm of nature in its pristine form. Sometimes nature show us the way home, the way out of the prison of our own minds. The mountains, trees, rocks and wind and anything that has come into existence without human intervention brings our attention to the present moment and make us feel our aliveness, our animating presence within the body. The noisy mind subsides and a deeper dimension opens up. "You can take a man out of the mountains but you cannot take mountains out of him". Only those who have been bitten by the travel bug can truly understand the meaning of these words. 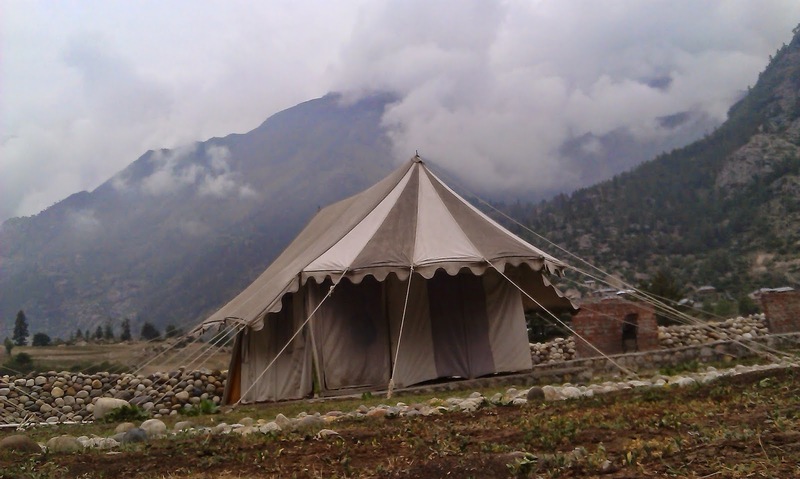 India is blessed with the perfect location and is a dream home for any trekker or mountain lover. The green pastures amid high snow clad peaks of Himachal, the flowery hills of Sikkim, the cold desert of Ladakh, the unforgettable Spiti, the list does not end. 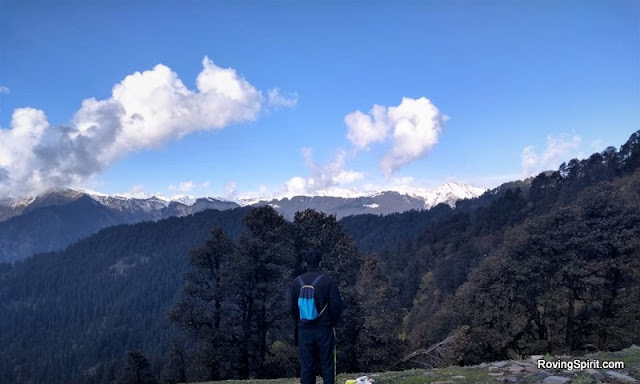 Below are some of the most beautiful treks of India, some of them a bit challenging but can be done with good health, and most importantly, love for the mountains. Chitkul, where the Indian road ends. In the Kinnaur district of Himachal Pradesh, Chitkul is the last village of India near the Indo-Tibetan Border. It's a proud moment to be there. 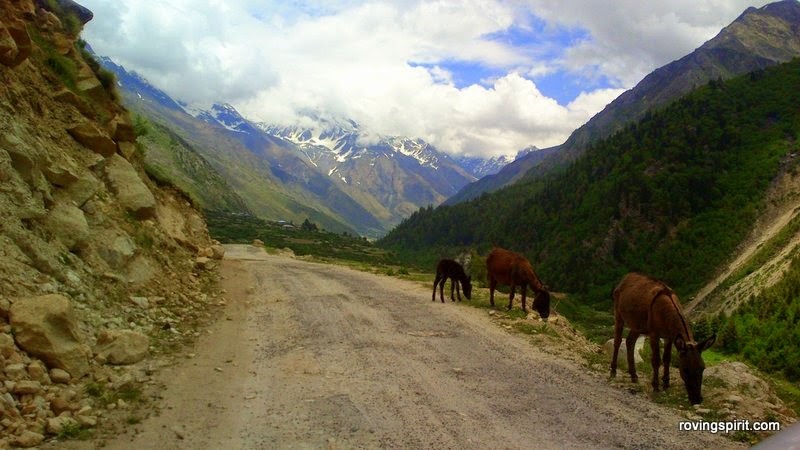 The road from Sangla Valley to Chitkul is amazing. It feels like going on a mission. Small streams of water on the road through the hills, the roaring river, the cool breeze, the heavenly hills, the Indian Army on the way, its a dream. You could say that Chitkul is the most beautiful and loveliest village of India. Once to Chitkul, you are in love for all your life. I used to be afraid of dogs. If not afraid, at the least , not comfortable with a dog around me. But that day, it all changed. I want a pet dog now. I still wonder how a little experience , an hour and a half can completely change our perception of something. 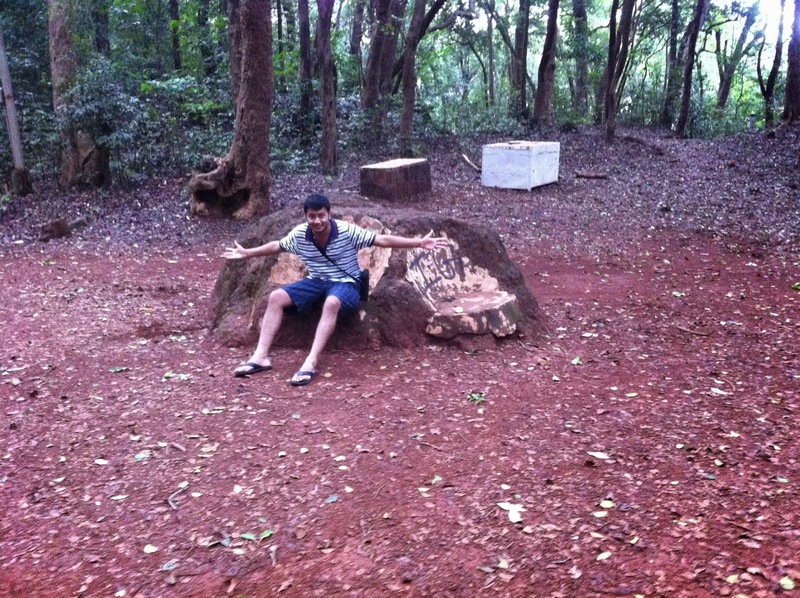 I was with a friend at Matheran , the smallest hill station of India, a three hour drive from Mumbai. It is peaceful place with long woody jungle trails leading you to magnificent viewpoints. You can read more about Matheran here. We were exploring various trails and new paths. Near the Rambagh Point , a dog started following us and went all the way to Rambagh Point with us. After spending sometime there and absorbing the beauty, we moved ahead and to our surprise, the dog started moving along with us as if he was waiting for us. After sometime,as we continued on our journey he started doing something peculiar. He would move a 15-20 steps ahead of us and them stop, look around properly in the woods and bushes, and would then look back and give a brief nod as if signalling that it was all safe. As soon as we reached near him, he would again move ahead and repeat the same.Sometimes, he would go a bit too ahead of us, and if there were any diversions in the path, he stood at the diversion point till we reached there, waiting for us to decide which way we wanted to go. At times, we were confused which path to take and it was he who led us. And in some way, we had now started feeling a bond with him and he felt like our guide and our savior. We reached the little Chowk Point and then the Big Chowk point. He had no interest in these amazing locations and the heavenly view, he only loved the journey. As soon as we would reach a viewpoint, we would hurriedly check around, to see if there was anything sniffy around and then doze off happily. As soon as we start to walk, he wakes up , follows and then leads. We are at the One Tree Hill Point. A bit dangerous path if you want to get really close to the One tree hill. The dog sensed we want to go there. He led us step by step, looking behind and checking if we were safe. And when we reached, and sat down on a huge rock, he cried. And then fell asleep. His cry was something i can't forget. He wanted to say something and said, which i couldn't understand. But what's important is that he said it and seemed to feel lighter. As we were about to move ahead, he woke up. We walked ahead, hoping he would be coming behind. We walked some distance but no, it didn't come. I said to my friend 'It isn't alright. Something wrong has happened' . We went back, he was there sleeping happily. He had found friends in us and we in him. He was looking for someone with whom he can sit and cry and share his emotions. He cried and then he found peace and no longer needed us. He was strong again. Maybe, the small journey together was enough to make a permanent bond. You don't need to be together always. Yes...the smallest yet so large. Matheran may the smallest hill station of India but read on to know why you could spend all your life here just exploring the seemingly endless trails into the woods. The two to three hour drive from Mumbai to Matheran beats it all. It seems hard to believe that such scenery and lush green lands wait for you as soon as you get out from the hustle and Bustle of Mumbai. And if it's not the Monsoon season (when the toy train remains out of service), the 2-hour toy train journey from Neral Station to Matheran is something you can list down in your 'never-to-be-forgotten' experiences list. But if you are a budget traveler, and you don't have your own vehicle, a car or a bike, getting out of Mumbai can be a pain. Spending two days of your hard-earned weekend in your air-conditioned room might sound to be a better option than finding a place to stand in a crowded local train, then a bus and finally a taxi . But believe me, it is not. Matheran is worth all your hardwork, and you go there once, you are bound to be waiting for your next weekend to go again, although I would prefer to visit during the weekdays due to the relatively lesser number of people. Just calling it a hill station doesn't do justice to the godly settings of this ecozone. It is an utopia for spending quite time, doing long walks, getting one with the nature, bird watching, listening to their loud chirping and singing, and exploring plant species. Matheran is an ecozone around 90 km from Mumbai , also nominated for UNESCO's world heritage site status. The best part is that it ts an automobile free hill station, with the vehicles parked a nice 4 km away from the entry point of Matheran. So, you can happily explore the place on foot, without any blazing horns. Horses are also available. Matheran has numerous view points, which can be reached after long walks in the jungle. You walk for a few kilometers in what seems to be a ecstasy, a dense forest, with loud (really loud) chirping of the lots of species of birds, accompanied by the some animals which you can spot (it seems like a big nature's party, all in harmony. ), and then suddenly, you are at a 'treat for the eyes' viewpoint, it becomes hard to absorb the happiness and joy of the result of your hard work, which in itself too was a wonderful, refreshing and a lively walk. Be it the Panorama point, the peace of the sunset point , the Louisa Point , everything in Matheran is a real beauty and a photographer's or a bird watcher's delight.So calm and rejuvenating is the environment,you will be relaxed and full of energy. The fresh air is filled with sweet sounds of the cuckoo and the Bulbul. The birds seem to be in a constant conversation with one another. A lot of animals can also be spotted here. And if the skies are clear, don't forget to carry your tent along (if you have one). 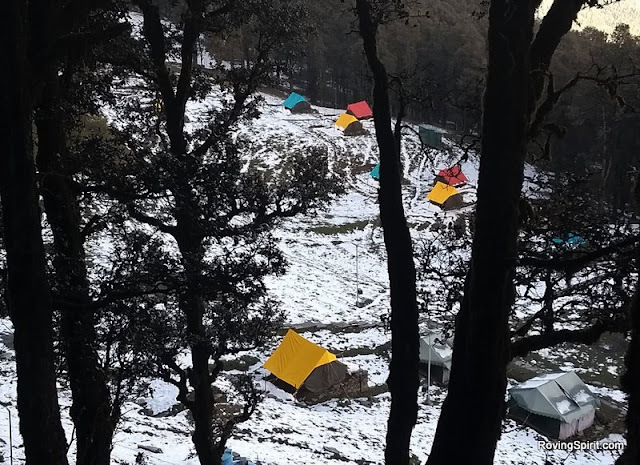 Camping at the panorama point (sunrise point) under the starry sky, followed by the most spectacular sunrise you would have ever seen along with a panoramic view of the Neral town, is an experience you will cherish all your life. How to reach Matheran : Assuming you are already in Mumbai, there are various ways by which you can reach Matheran. I am describing it on detail, since it can be a pain to finding out how to reach, for any new traveler. 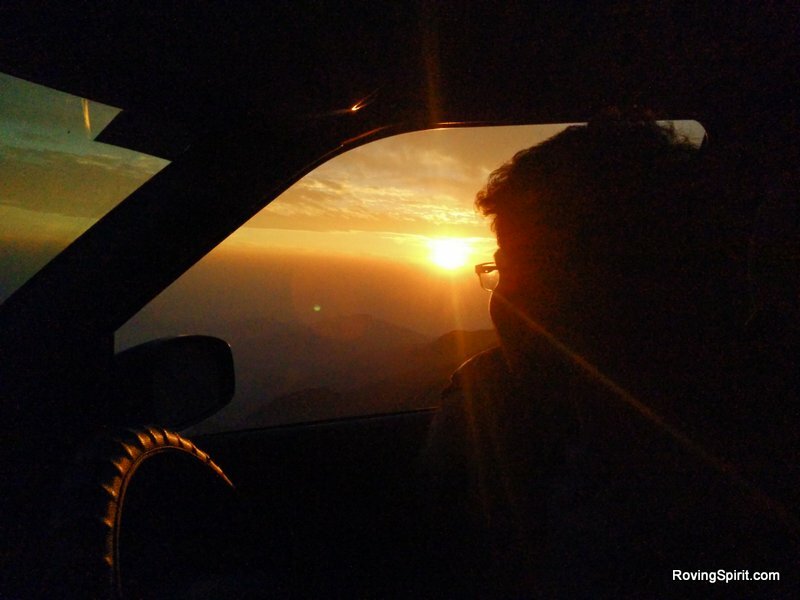 By Road : Mumbai-Neral-Matheran, 108 kms. While going to Matheran by road, take Mumbai-Pune Highway(NH-4) upto Chowk Village and turn to Karjat road. From Karjat, the same road goes to Dasturi Naka, i.e. entrance of Matheran via Neral. The best options depend on the season you are traveling in, whether Monsoon (June- September) or not. Non-Monsoon Season: The best way to reach Matheran is to go to the Neral Junction via local trains. If you live near Panvel, it would be better to take a bus from Panvel to Karjat from where you can go to Neral by local train. The 45 minute bus journey is nice with green pastures on both sides of the road. From Neral, buy the toy train ticket for Matheran, which you can within 45 minutes before the departure. The two hour train journey will take you through curves, tunnels and amazing landscapes. The image shows the Neral to Matheran timetable and vice versa. The first train runs at 6.40 am and the last one at 5.05 pm. Monsoon Season : During the Monsoon Season (June-September), the option of toy train in not available. You need to reach Neral Station as described above. After reaching Neral, there is a regular taxi service upto Aman Lodge Station, the previous stop to Matheran. From Aman Lodge, the automobile free zone begins. From here, you can reach Matheran on foot (30-40 minute walk) , or you can take a horse . Also the toy train service from Aman Lodge to Matheran continues even in the Monsoon months. A heavanly Place to Stay in Matheran . Mumbai, the city of dreams. Whether you are a foodie, beach lover, an architecture fan, cinema fan, or the one who just loves to wander on the lively streets, Mumbai is for everybody There's so much to see and experience and see that there's a huge possibility that you might miss out on some of the unique experiences and places. But, make sure you complete this list before you leave Mumbai. This list has the places you are likely to have missed out on your school trip. I am Karan. I love exploring and experiencing different places like a local. Passionate about travel, India, Education and Mathematics. Quotes that will inspire you to 'let go' and fulfill your passion to 'travel'. Roving Sripit © 2014. Powered by Blogger.